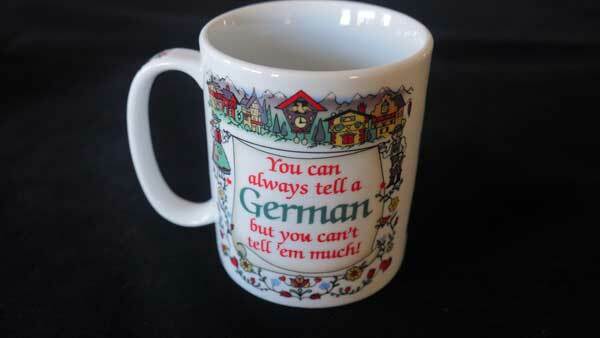 This funny Coffee Mug makes a great Gift for any German in your life! It’s painted with charming flowers, houses and cuckoo clocks on both sides, the handle is decorated with flowers and vines, and there is even a happy German inside! This standard sized coffee mug is 3 3/4 inches tall, and holds around 8 oz. of liquid. The white ceramic mug is decorated on the front and back with the funny saying, “You can Always Tell a German, But you Can’t tell ’em Much”. Also covering the mug are flowers, cuckoo clocks, little Bavarian houses and vines. 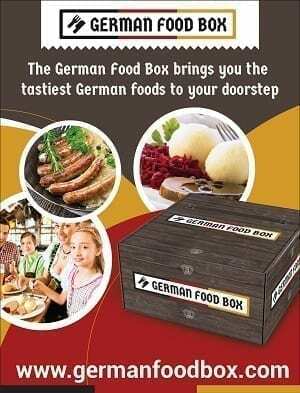 One of many of our many German Gifts Ideas!